The manhunt is on for a 12-year-old girl who's at the center of an Amber Alert. 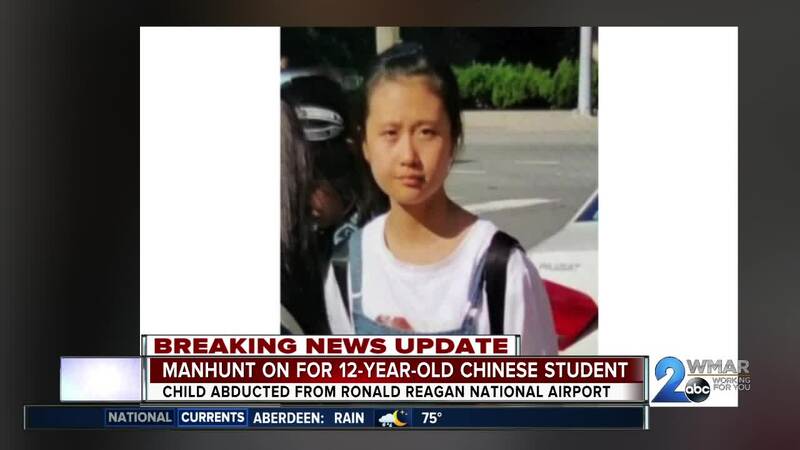 Someone abducted her from Ronald Reagan National Airport around 8:15 a.m. Thursday. JinJing Ma was traveling with a group from China visiting schools and sightseeing in Washington. Police say Ma could be in extreme danger. She was minutes from boarding her plane when she left her group to use the bathroom. That's when police say a middle-aged Asian woman got the student to leave the airport with her. Investigators say the alleged abductor was wearing a black dress and walking through the airport with a man. Ma was last seen wearing a white T-shirt, jeans and a black jacket, but police said she changed her clothes at some point. Police said she had her passport with her and that she'd been in Washington since July 26. Investigators are looking for a White Infinity with New York tags. 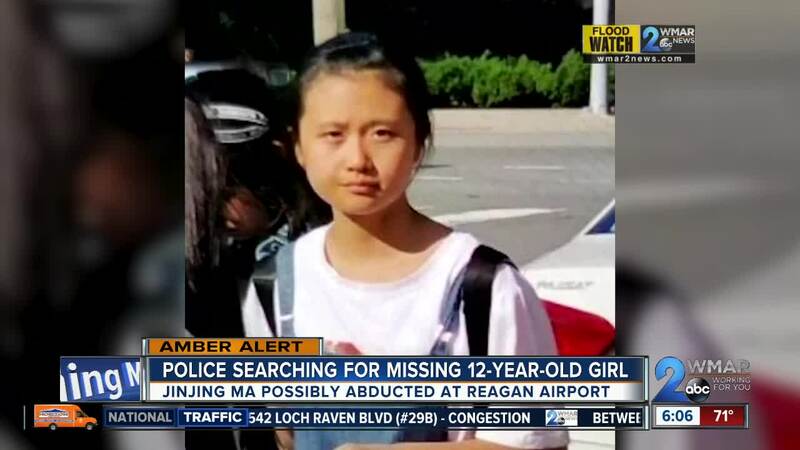 "Because of her age, because of the circumstances, she was with a tour group, received her passport as part of the check in as part of security here at Reagan National and then left; that information and because of the age of the child, this is a very serious incident," said Metro Washington Airport Authority Chief David Huchler. For further information, contact the Metro Washington Airport Authority at 703-417-2400.